Luxury interior design can translate differently to different people, but the classic white wall is a timeless staple that will never go out of style. Chic white interior walls or home exteriors are anything but generic. The perfectly chosen white paint color can draw focus to the unique architectural or artistic touches in your home. Here are our picks for the best white paint color for your home. OC-9 Ballet White by Benjamin Moore is an excellent creamy white paint color that is sophisticated and endlessly versatile. We like this on surfaces with an uneven texture, like the plaster walls in many historic homes we work with, to create a bright, yet soothing atmosphere. OC-23 Classic Gray by Benjamin Moore is one of our favorite interior neutral chalky white paint colors. It also makes for a great, bright exterior color. 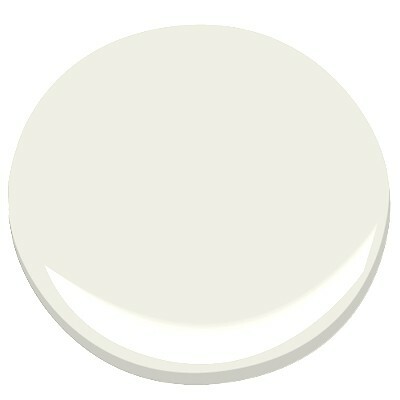 Benjamin Moore's White Dove is one of their most popular white paint colors, and for good reason! The color's versatility makes it a go-to for all surfaces inside and outside the home. It makes the perfect backdrop for fine art pieces in Ann Holden's timeless designs. One of our favorite matte white paints is the Farrow and Ball All White. 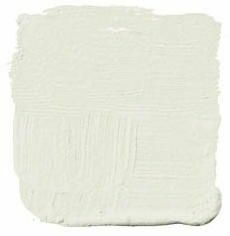 Unlike many white paints on the market, this does not include any other pigments to change the tone. It s a beautiful neutral white, and the matte texture provides a beautiful, classic finish. Fine Paints of Europe's White is the ultimate white paint color. It's all about the quality, utilizing the Hollandic process of creating lasting paints, their White color is made to last. We like to use this white paint color on the exterior of homes, especially historic homes, since the paint was created with old-world architecture in mind. In the world of white paint colors, there really hundreds of shades to choose from. Cool whites have a more blue tint to them and are great for modern designs, while warmer whites can give a more cozy feel. Consider your home’s architecture and the overall feel of the rest of your spaces before heading to the paint store. Want more inspiration? View featured Ann Holden Design Firm homes.